Several BJP leaders and hundreds of party workers paid their last respects to the departed leader Ananth Kumar at the party office, where the body will be kept for about an hour. A stream of leaders and supporters today paid their last respects to Union Parliamentary Affairs Minister and senior BJP leader Ananth Kumar, who died yesterday. Ananth Kumar's body was taken from his Basavanagudi residence, where it was kept since yesterday morning to Jagannath Bhavan, the BJP state headquarters at Malleshwarm, in a decorated military vehicle with personnel of the three services- the Army, Navy and Air Force- accompanying it. The procession began, with supporters chanting slogans "Bharat Mata Ki Jai", "Ananth Kumar Amar Rahe". State BJP President BS Yeddyurappa and party's General Secretary in-charge of Karnataka Muralidhar Rao were present at the state BJP office, where a pall of gloom has descended. Several BJP leaders including Union Minister Sadananada Gowda, R Ashoka, KS Eshwarappa, Anurag Thakur, Pralhad Joshi, and hundreds of party workers paid their last respects to the departed leader at the party office, where the body will be kept for about an hour. 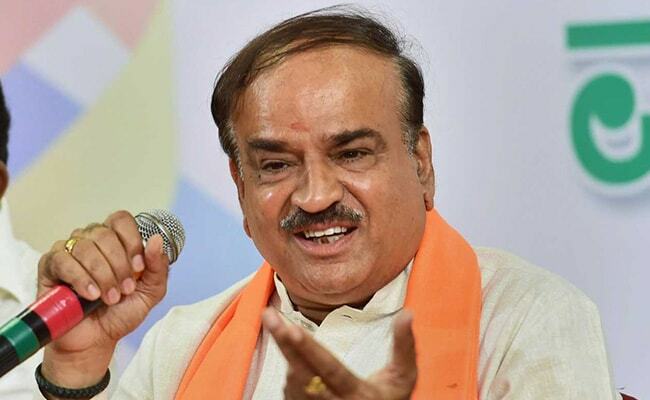 Ananth Kumar's mortal remains will then be shifted to the National College Ground, which falls in his constituency, for the public to pay homage, before the funeral at Chamarajapet crematorium in the afternoon. The central government has announced a state funeral for Ananth Kumar. According to sources close to the family, Ananth Kumar's brother Nanda Kumar will perform the last rites according to Brahmin traditions. Besides Vice-President Venkaiah Naidu and BJP President Amit Shah, Union Ministers, including Rajnath Singh, Piyush Goyal, Harsh Vardhan, Radha Mohan Singh, Ramdas Atavale, Mahesh Sharma, Ashwinikumar Choube and Ramkripal Yadav would pay homage today, party sources said. 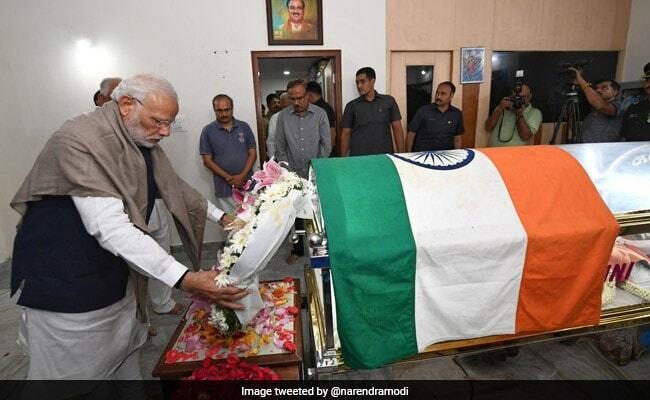 Prime Minister Narendra Modi flew in Bengaluru from Varanasi and drove straight to the residence of Ananth Kumar at Basavanagudi and paid homage to his colleague by placing a wreath on his mortal remains, yesterday night. PM Modi pays his last respect to Ananth Kumar. PM Modi consoled Ananth Kumar's wife Tejaswini and his two daughters during his 15-minute visit. BJP leaders and those from various political parties, relatives, family friends, party workers and people made a beeline at Ananth Kumar's residence to pay homage to the "most-loved" Bengaluru MP, known for his affability and cordial ties with rivals. Foraying into politics in 1987, Ananth Kumar became an Union minister in the PM Vajpayee cabinet in 1998 when he was only 38. He remained in the inner circle of the central leadership of the BJP -- be it during the heyday of Atal Bihari Vajpayee or Narendra Modi now. Teaming up with Mr Yeddyurappa, Ananth Kumar was among the few party leaders who could be credited for the growth of the BJP in Karnataka, bringing it to power in 2008 and making it the first saffron party government in the South. Ananth Kumar made his parliamentary debut in 1996 from Bangalore South, where he remained unconquered till his death. He had defeated software icon Congress's Nandan Nilekani in the highly politically conscious constituency in the 2014 Lok Sabha polls.